Great day here at BSC! Another beautiful day with temperatures in the 70s and 80s. In the morning, campers went to their majors for almost two hours. Campers were giving it their all during the major periods which is always nice to see because it means they are improving at their sport. Koop briefly talked about it at lunch when he mentioned the same thing. He said he went around to every major in the morning and saw how focused everyone was at getting better. That is what sports camp is all about. In the afternoon, at around 3 o’clock, campers and counselors loaded the buses to head to the SeaDogs game! Before the game, we always go to a park that is right next to the field where we stop and eat pizza. After pizza, the buses drove us to Hadlock Field, home of the Portland SeaDogs. The whole camp was able to go out onto the field while the rookie and professional campers and counselors held the flag during the National Anthem. We then headed to our seats along the third base line. At the game, there are different rules for different age groups. The rookies and pros must stay with their counselors at all times when going to get food or merchandise while the senior campers can go on their own. However, seniors must check in with their counselor every 30 minutes. After the game ended with a SeaDogs defeat (L) we stayed for a firework show! Nothing like seeing a baseball game and fireworks after a week of hard work! When the show ended, everyone loaded the buses to go back to BSC after a successful trip day. 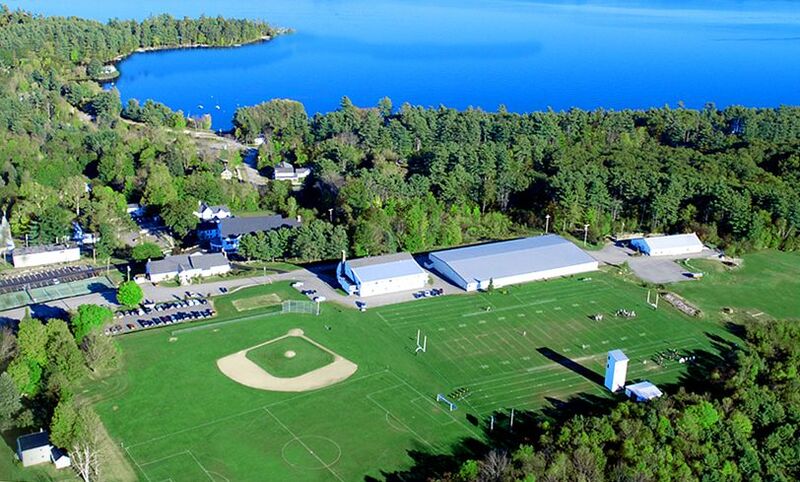 July 20th – Intercamp Begins! Busy day here at BSC as we had two different teams participating in intercamp sports. The first team was the 15U soccer team that left just after breakfast for a tournament at Wigwam. Unfortunately, I didn’t have the opportunity to go to the tournament but the campers fought hard and won the tournament which is always great to see! They brought home a pretty cool trophy that you can see on CampMinder. The other intercamp game took place in the afternoon at Micah. Myself and another counselor drove campers to Micah to play in a 15U ultimate frisbee game. At the beginning of the game, our guys started off slow, but we finally found our groove towards the end of the first half. Once everyone started communicating and playing as a team, things turned around. Although many of the campers on the team had never played competitive frisbee before, they worked hard to tie up the score and eventually take the lead at one point. Unfortunately, we weren’t able to hold on at the end but I was really proud of how everyone played. Everyone gave it their all and, after the game, each camper was satisfied with how they performed on the field. At night, we had our first movie night! Usually movie nights are on Saturdays but due to the fact that the Sea Dogs game is tomorrow night, we moved it to tonight. The rookies went down to Koop’s house and watched Mighty Ducks, while the professionals and seniors watched 21 at the humanities center. Another great day at BSC as campers anticipate the Sea Dogs game tomorrow night! Another absolutely gorgeous day here in Bridgton, Maine. The temperature stayed in the upper 70s and lower 80s throughout the day. Today was as perfect a day as we will ever get at summer camp. Today, I spent a lot of time at the waterfront spotting on the wakeboarding boat, to helping out with fishing on the pontoon boat, and lifeguarding. On the wakeboarding boat, it was awesome to see a ton of the campers get up on the wakeboard, waterski, and kneeboard for the first time. Oftentimes, campers will have to try a couple times before they get up but it’s always great to see them persevere. This is one of the many lessons that we try to get across to the campers at BSC. When life knocks you down, get right back up. Koop has a saying that goes, “what would you do if you knew you couldn’t fail?” One of my favorite parts about camp is seeing a camper try something until they succeed because they know that regardless of what happens, as long as they gave it their all, there is no way they can fail. Tonight was also our first cookout of the session! Campers and counselors enjoyed sausages, hot dogs and hamburgers while sitting outside around the lineup area. After dinner, campers had free time until heading back to their dorms for the night. Our first trip day is coming up as we will be going to the Portland Sea Dogs game on Saturday evening. Go Dogs! Session two is officially underway! Campers received their daily schedules at breakfast this morning before jumping into the day. After clean up at the dorms, campers headed to their first period major and minor activities. It was great to see everyone competing right away as the campers met their coaches and fellow major participants. The weather was perfect and it was a great day to kick off the majors. Campers were excited to get moving and worked really hard at their major sports. It’s always awesome to see how much each kid wants to get better at their sport from day 1. In the afternoon, hockey majors were finally able to get on the ice after carrying their equipment to the locker rooms in the morning. Everyone got a chance to skate as both age groups had their hockey period majors in the afternoon. After dinner, we had our first night of Bridgton Sports League (BSL) of the session! BSL is where the whole camp is split up into different Southeastern Conference (SEC) and Ivy League teams. These teams then compete over the course of camp until a winner is crowned in the final week. Tonight, campers played in games of gaga, kickball, and handball. After BSL, the night concluded with some free play for some of our pros and seniors, while the rookies (and even some pros and seniors) went to the Wolverine Den to hangout. We have a pool table, ping table, board games and a snack at night. Tonight was special because the home run derby was on, which campers were able to watch in the Den. Many more exciting days of camp to come! July 15th – Session 2 Begins! And just like that, we’re on to session two! Campers and their parents arrived today. It was great to see so many returning faces, as well as tons of new ones. Parents had the opportunity to set up their kids’ dorms as well as explore campus. When the New Jersey / Boston bus rolled into camp around 5, parents started to say their final goodbyes and camp officially began. After getting settled in, we blew a whistle and campers headed up to the lineup area. Koop gave his yearly welcome speech and all staff members introduced themselves. Campers and their respective divisions then went to the upper fields where the rookies played a game of kickball, the professionals played ultimate frisbee, and the seniors played handball. From there, everyone went to dinner to enjoy a meal of chicken tenders, french fries, and corn on the cob. Once dinner was over, the three divisions split up again and got tours around camp to learn where everything is. Division leaders explained what is to be expected of every camper during their time here at BSC. Campers then had about an hour of free time before heading back to their dorms for the night. Stay tuned to the blog as we’ll keep you caught up with everything you need to know about camp over the course of the next three weeks. In the next 30 minutes the bus will be arriving back in NJ, most flights will have landed, and most of session 1 campers will be home. I’m sitting in the office preparing for session 2 and I have a few minutes to think back over the past 3 weeks. Last night, we had our closing campfire. I was so impressed because almost every camper got up and spoke about the goals that they achieved this summer and what BSC, as a whole, means to them. I’m always so proud watching this because I know that 3 weeks ago many of these campers would not feel comfortable enough to get up in front of a group and speak from the heart. Thanks to our coaches & staff, you will see huge improvements in their major sports, but more importantly, they are coming home more confident young men and well versed in the BSC values of sportsmanship, kindness, teamwork, loyalty and friendship. It was pleasure having this group here this summer and I can’t wait to see how much more they will grow over the next 10 months. I hope you all have a great rest of the summer! Today was the last day of color war and the last day of session one here at BSC. What a day it was. The day began with the final event of color war: the whacked-up relay. Campers competed in events such as gaga, around the world in basketball, mummy wrapping, and pie eating. In the end, although the Capitals won the pie eating contest, the Warriors took home the color war title by a score of 371-352. All campers from the Warriors stormed the court when the scores were announced making it a fantastic end to a great three days of competition. The afternoon consisted of free play and packing before campers and counselors headed up to the dining hall for the final banquet. After enjoying a steak dinner, raffle prizes were awarded to random campers, shout outs were given to the kitchen staff and division leaders, and a video was played on the TV highlighting the best moments from an incredible session. Once dinner was over, everyone headed to the lineup area for the final campfire. The final campfire is always special as campers share what their goals were for the summer and what camp means to them. Everyone who wanted to speak got a chance, including both campers and counselors. The campfire is always a perfect end to a session here at BSC. At the end of the campfire, campers headed back down to their dorms for their final night of the 2018 summer. Thank you for an unforgettable session campers. July 12th – Nearing the End! Today was the second day of color war here at BSC on a beautiful Maine day. In the morning, campers briefly went to their majors to wrap up what they’ve learned over the course of the past three weeks. After majors, everyone headed to the ice rink to watch the highly anticipated Warriors v. Capitals hockey game. The game lived up to the hype. Midway through the second period, the Warriors held a 6-0 lead. Unfortunately for them, this didn’t last as the Capitals went on a 9-0 run to take the lead 9-6. Then, in yet another turn of events, the Warriors scored four goals in a span of two minutes to regain the lead at 10-9. The Warriors would hold and go on to win the game as they mobbed their rookie goalie after the final seconds ticked off the clock. The afternoon consisted of the three age groups rotating between a cook-off, dodgeball, and track and field events. In the dining hall, campers were tasked with making a creative and delicious dish based on mystery ingredients. At track and field, campers participated in events from tug-of-war to the 100 meter dash, to a football throwing contest. At the end of day two, the Warriors hold a 30 point lead. There are still over 100 points to be given out in tomorrow’s whacked-up relay. By the end of it, a winner will be crowned! Stay tuned to find out who will take home the cup. Hey Guys – Trip day is always a great day at camp. Our rookies and pros went to Funtown Splashtown, the seniors went white water rafting, and the CIT’s went to Boston for the day. To talk about the trips, we got a camper from each trip to tell you a little bit about their day. Here is what they had to say! My name is Brody and I am a pro camper. Yesterday, my fellow campers and I took a trip to Funtown Splashtown. Starting in Funtown, me and the six other campers in my group made our way through the park. Eating candy, going on rides, and waiting in lines occupied us for the next 2 hours until check-in. After check-in, my group made our way to Splashtown. After an hour of waterslides and swimming we finally stopped, ate dinner and recapped the day. Then, we loaded into the busses and left the park. The highly anticipated color war announcement occurred on a very fun boat ride where the admin announced the teams, passed out candy, and played some games. My name is Stelio and I am a senior camper. Yesterday, I went white water rafting with the rest of the senior division. We had to wake up at 5:30 a.m. and be on the bus by 6, but we got extra sleep on the ride there and when we arrived we couldn’t wait to get on the rafts. We got our life jackets and helmets and waited to get on the next bus to load up on the rafts. When we got there, we split into groups and started to carry the rafts to the river. The rafting started off crazy with tons of rapids but soon calmed down when the water was calmer. Then we stopped to get the food and cooked it on a mini island in the middle of the river. The food was great, and afterwards we calmly went down the river to the end. After we all changed and got back on the bus they told us we were stopping at a random location, which turned out to be the start of color war. The whole camp took a ferry ride around Naples and announced the teams for color war. My name is Kyle and I am a CIT. Yesterday the other CIT’s and I went to Boston and saw a Red Sox game. We got to sleep in late, until about 11 am, then we ate a late breakfast and left for Boston around noon. On our way to Boston we stopped for lunch at Bridgton House of Pizza. We got to Boston early and were able to walk around and go into a few shops before getting dinner and heading into the stadium for the seven o’clock game. We had great seats and were in one of the field boxes down the first base line. After watching the game for a while we walked around the famous ballpark and even got to watch from the green monster for a little while. In the end the Red Sox won the game 8-4 and we headed back to camp, stopping for some food on the way. We finally returned from our exciting day, exhausted, around 2 am.